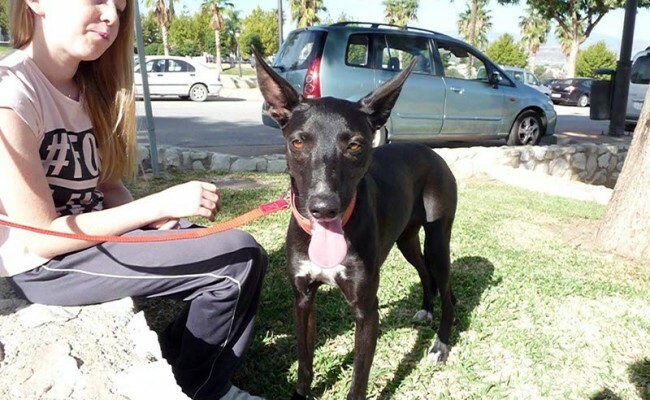 Beautiful Bibi is a stunning podenco who is 11 months old. 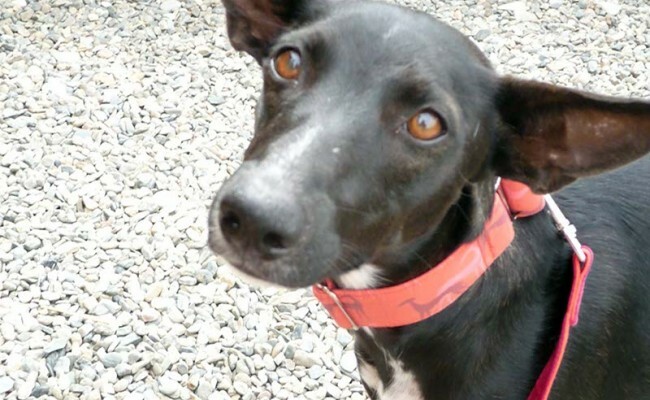 Her parents were found starving on the roadside and a kind person took them in and looked after them and brought them back to health. 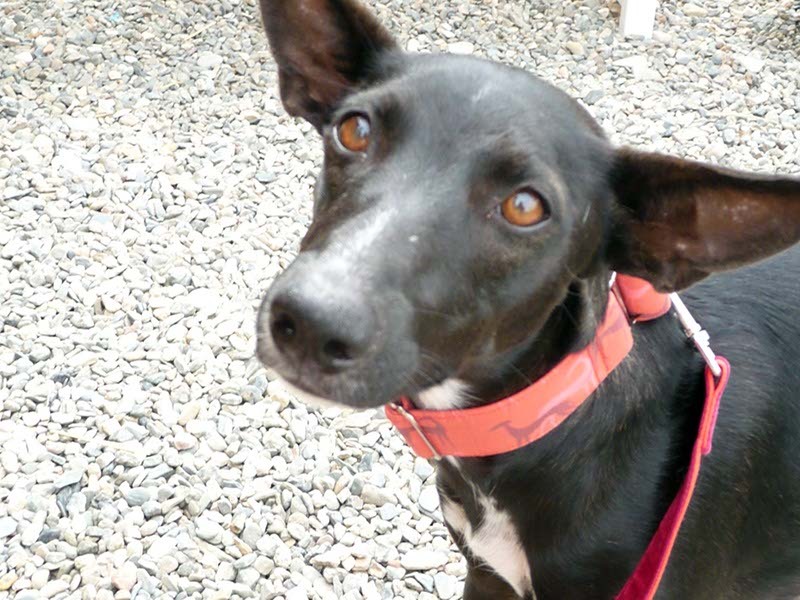 A volunteer agreed to foster Bibi until she finds her forever home. 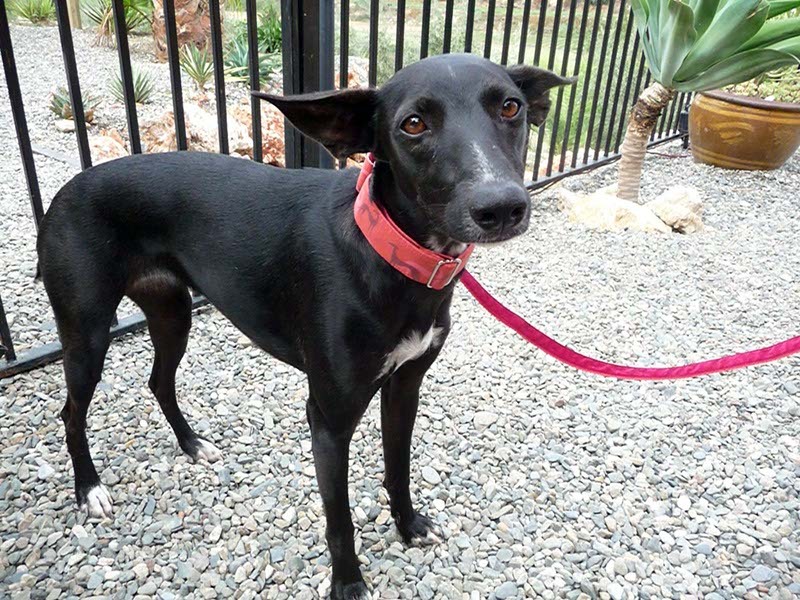 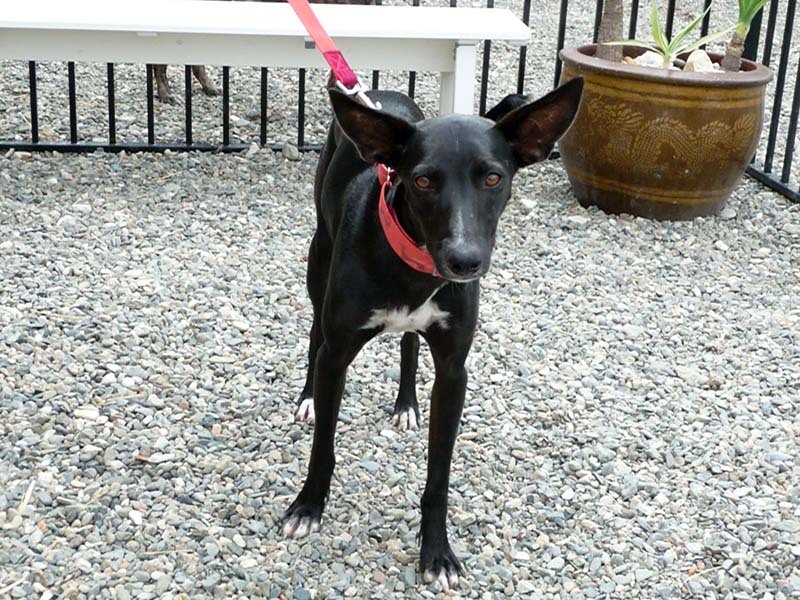 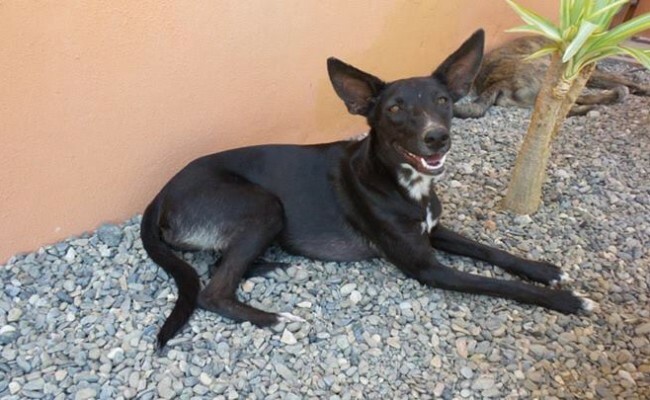 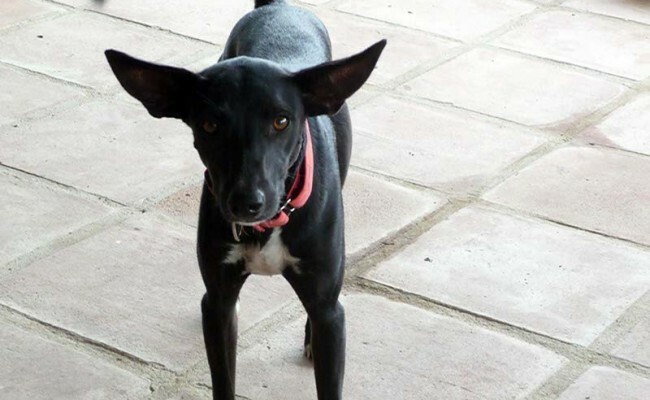 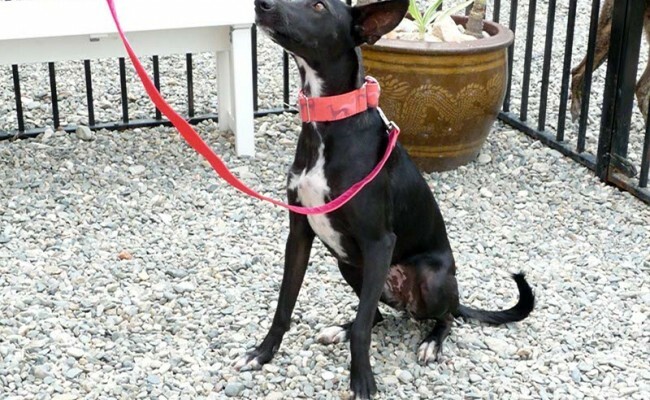 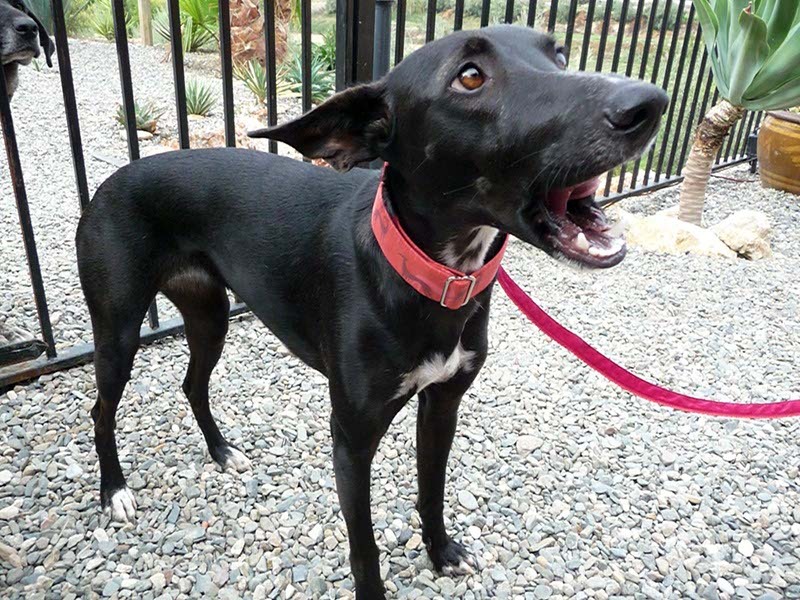 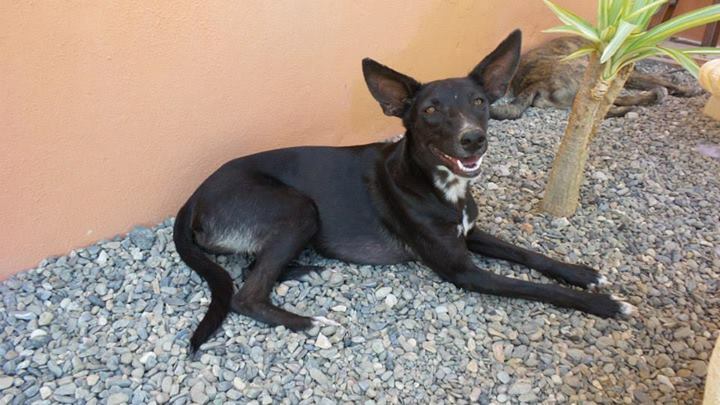 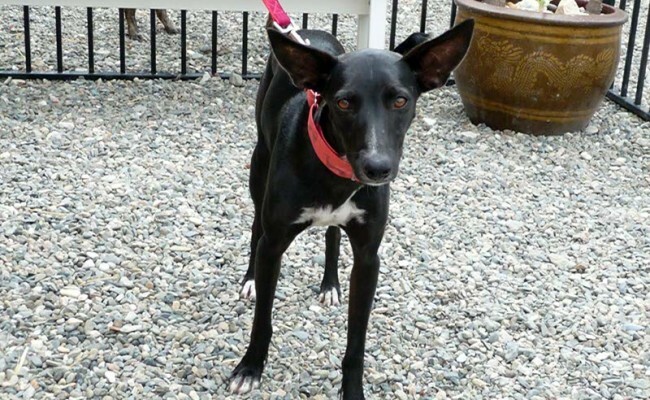 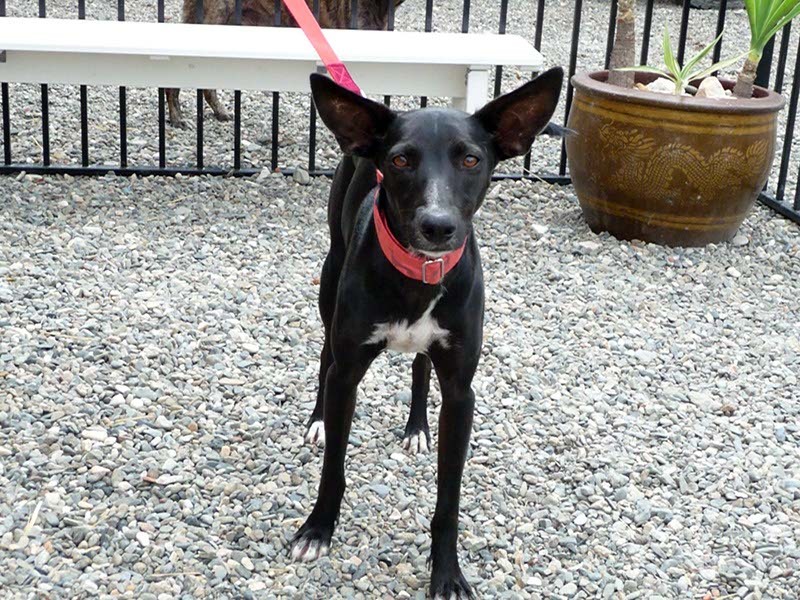 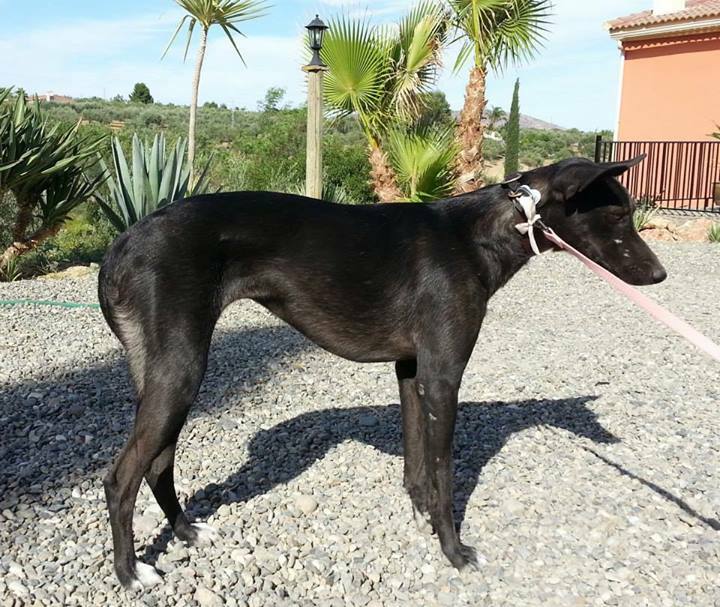 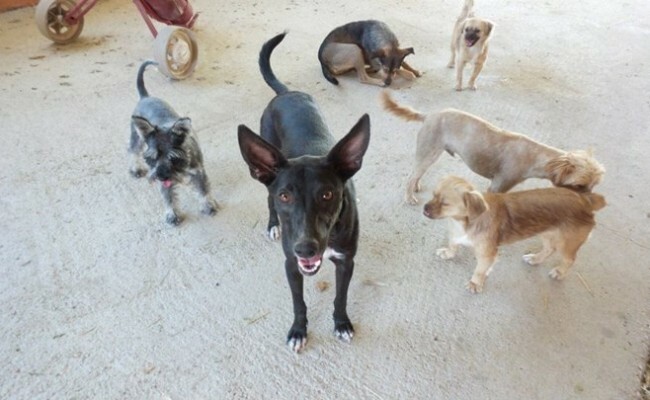 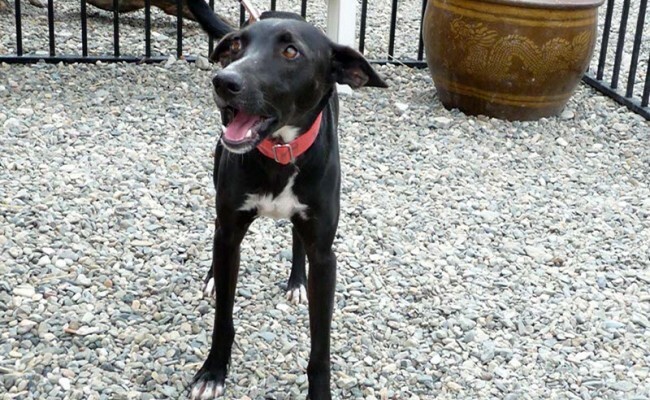 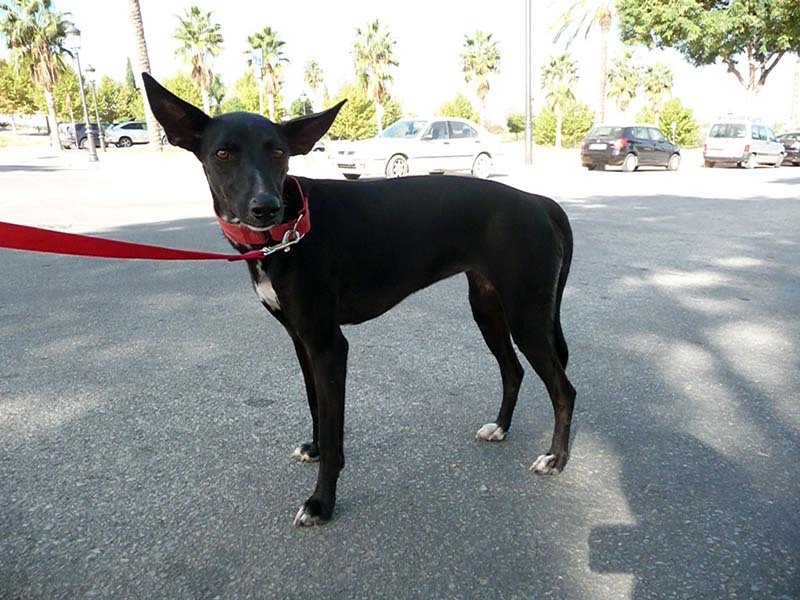 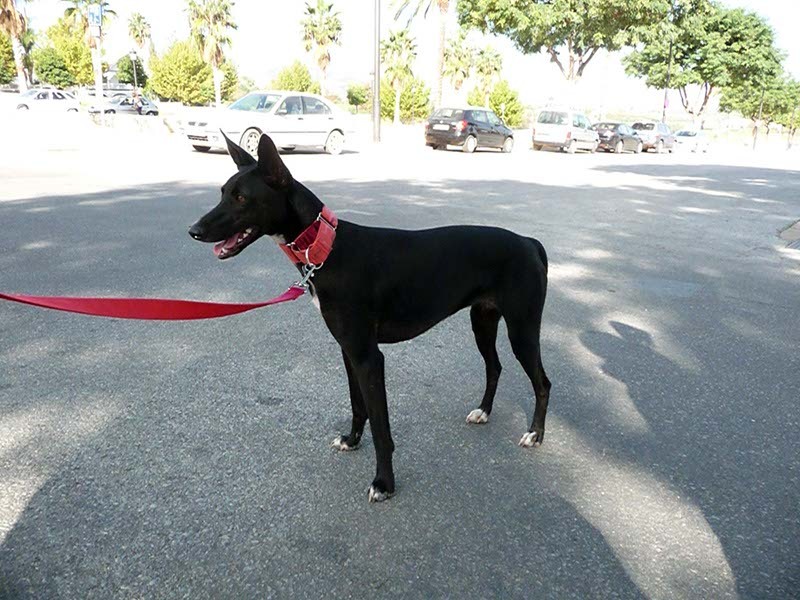 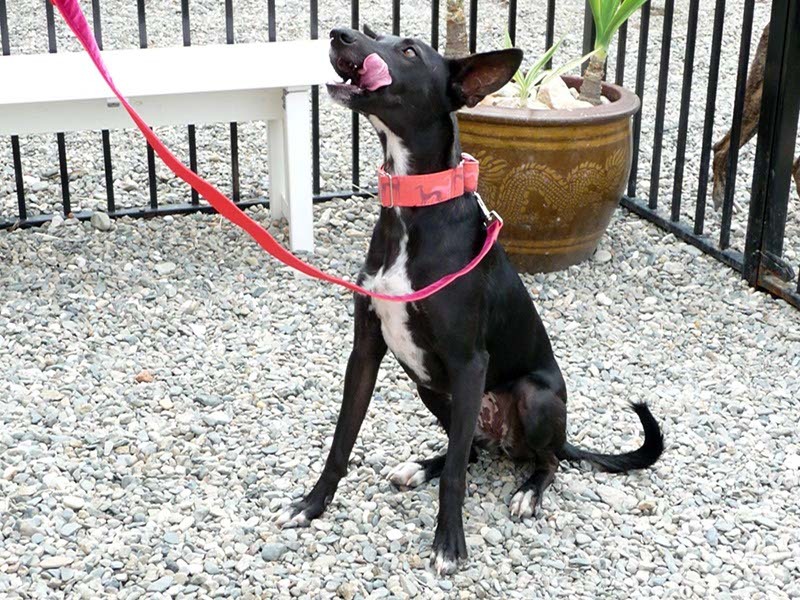 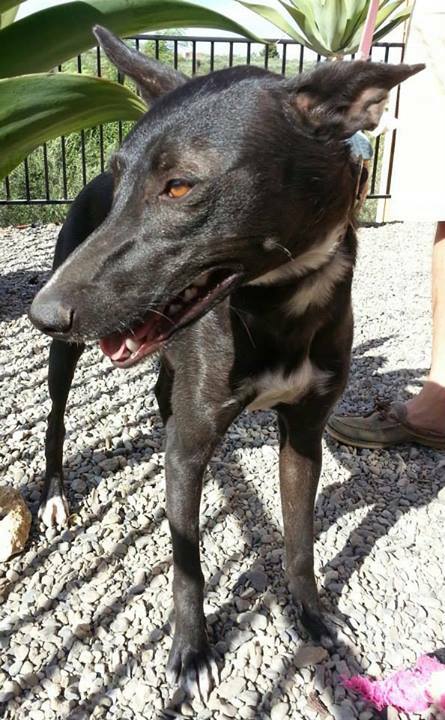 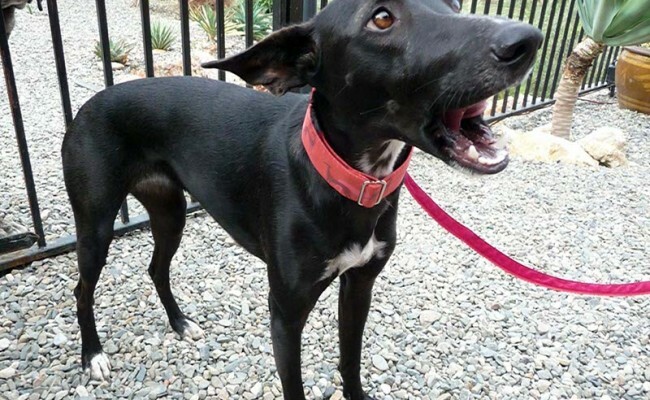 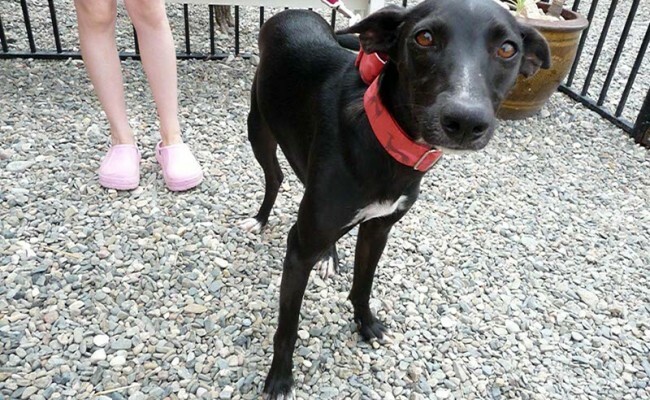 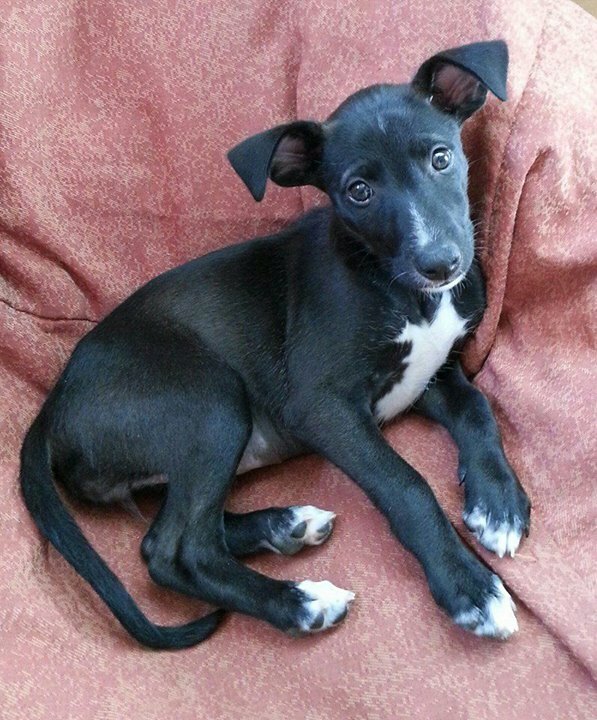 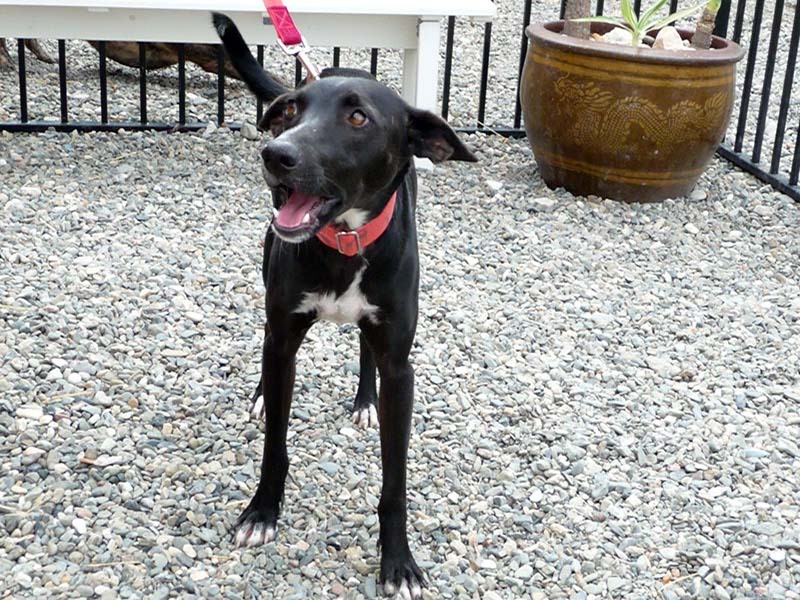 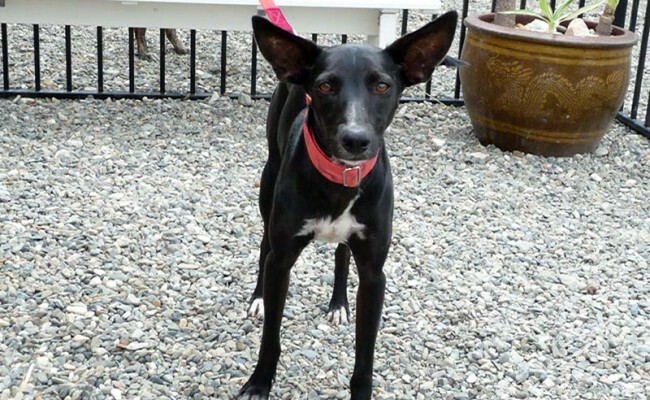 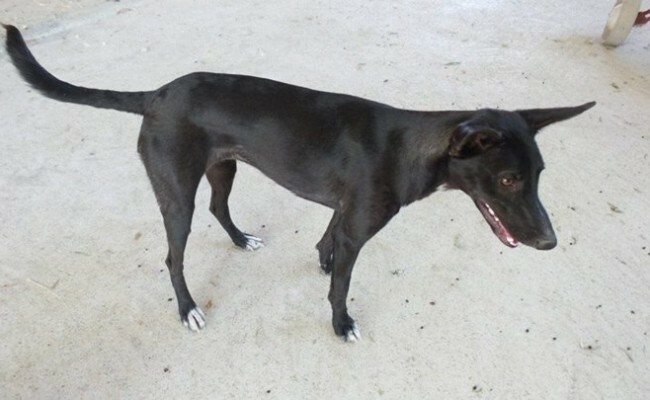 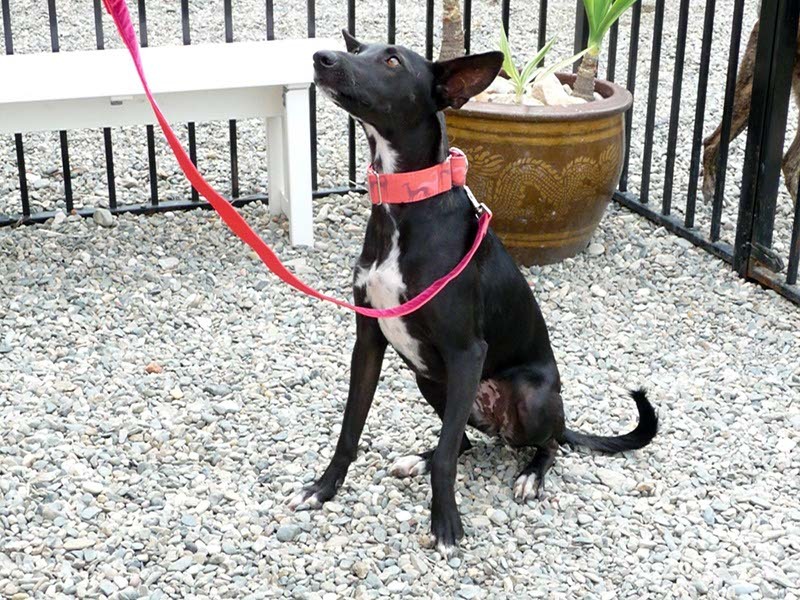 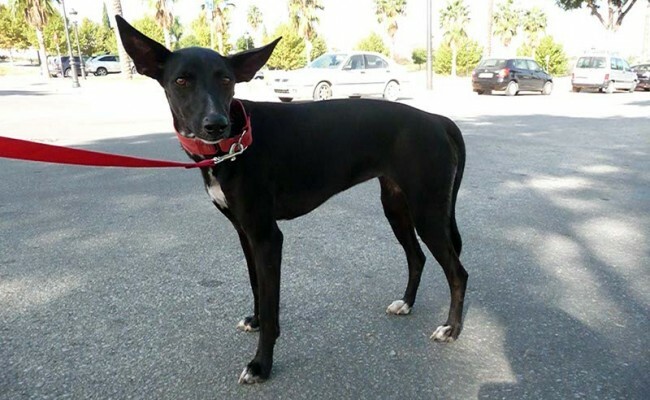 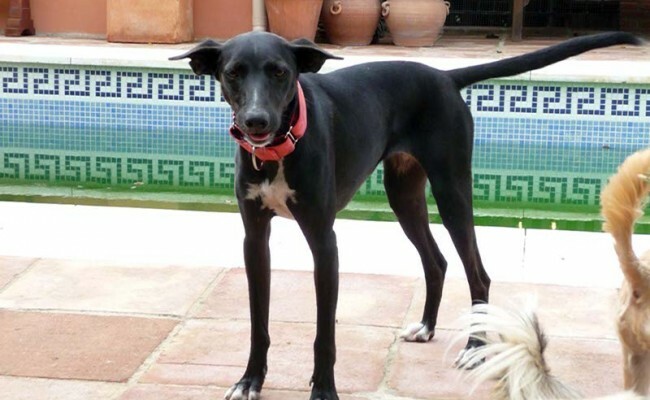 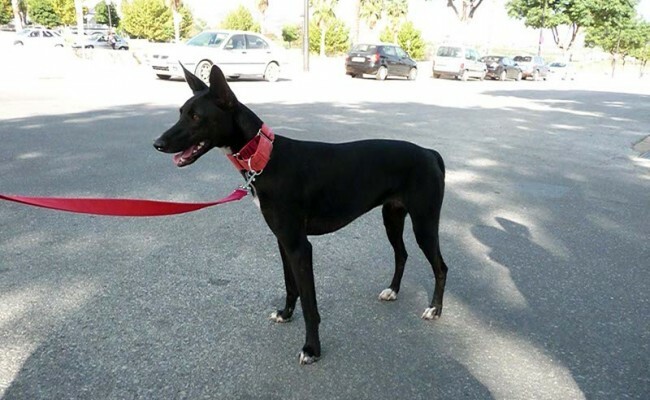 BIBI is a beautiful Podenco with a lovely nature and a shiny black coat and huge ears. 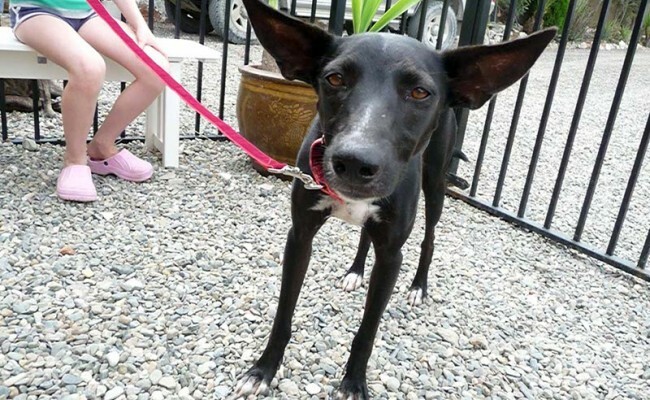 She has lived in a foster home with lots of other dogs since she was a puppy and is quite calm & relaxed most of the time. 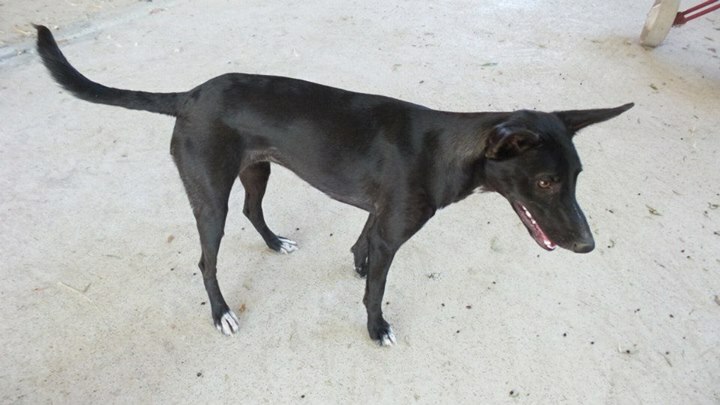 She is used to being left for short periods with other dogs, but could become distressed if she is left entirely on her own, so she would be better in a home with another dog for company and with the facilities to leave her somewhere safe. She adores the children she lives with, and is extremely gentle and loving. 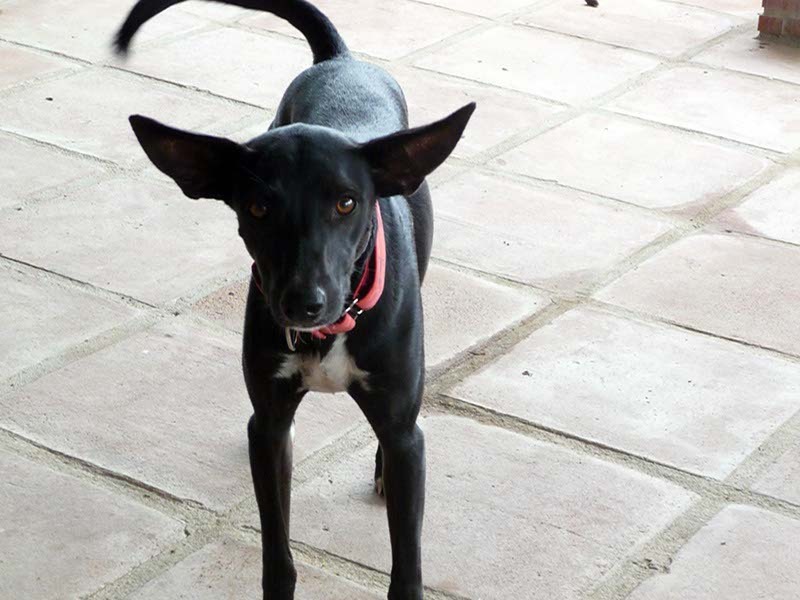 However, she is a Podenco with a hunting instinct, and can get fixated with things, and so would be suited to someone with previous sighthound experience as she will probably not be able to go off-lead. . She also lives with cats who she is fine with and likes to lick their faces!! 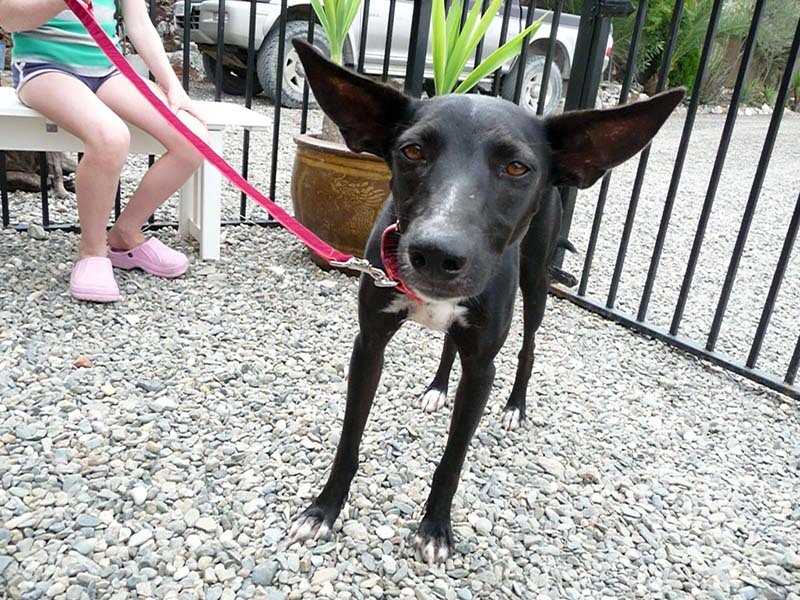 She was very nervous when she was taken out into the local town, and was not at all happy, so she would need a lot of time and patience to help her overcome her fears. 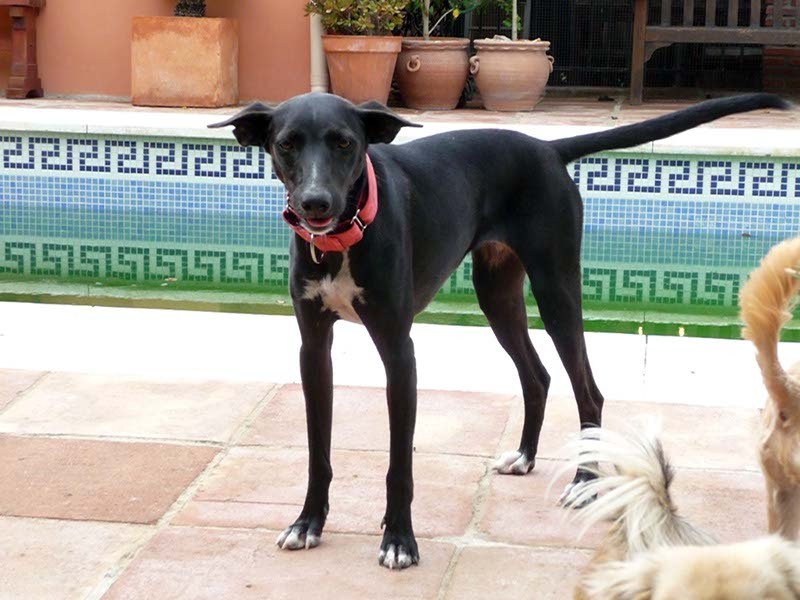 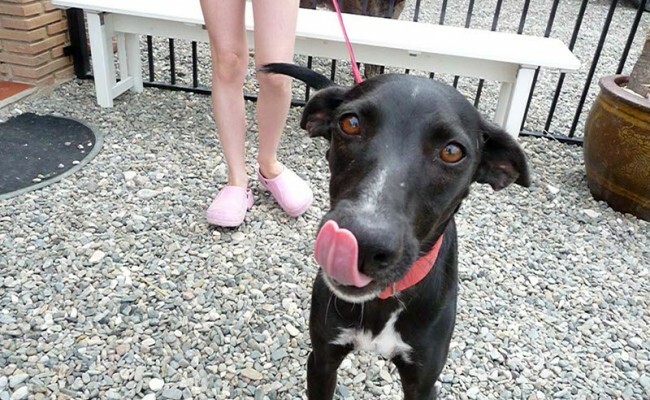 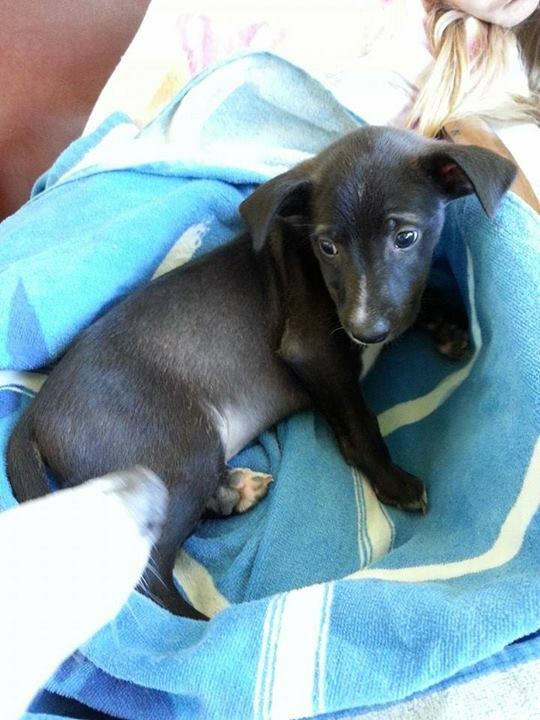 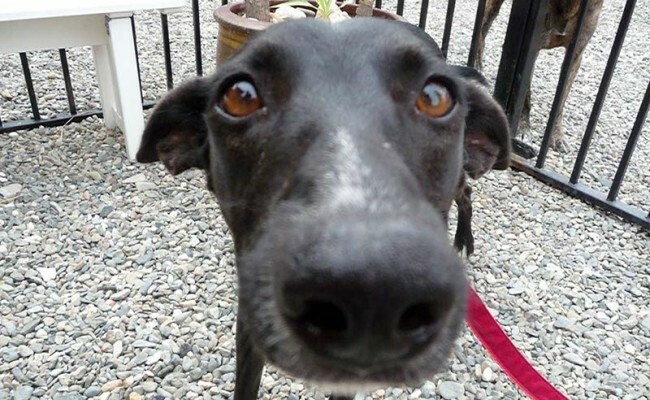 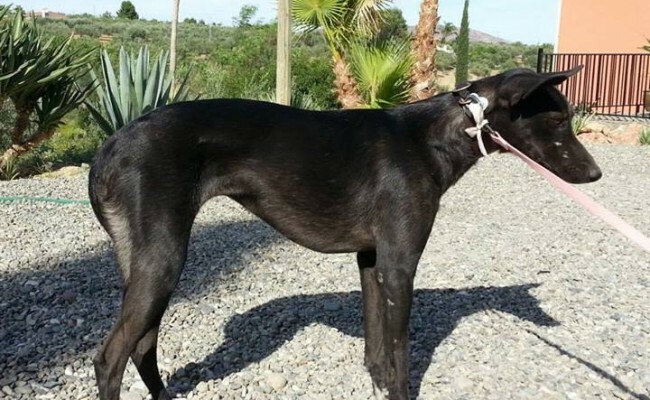 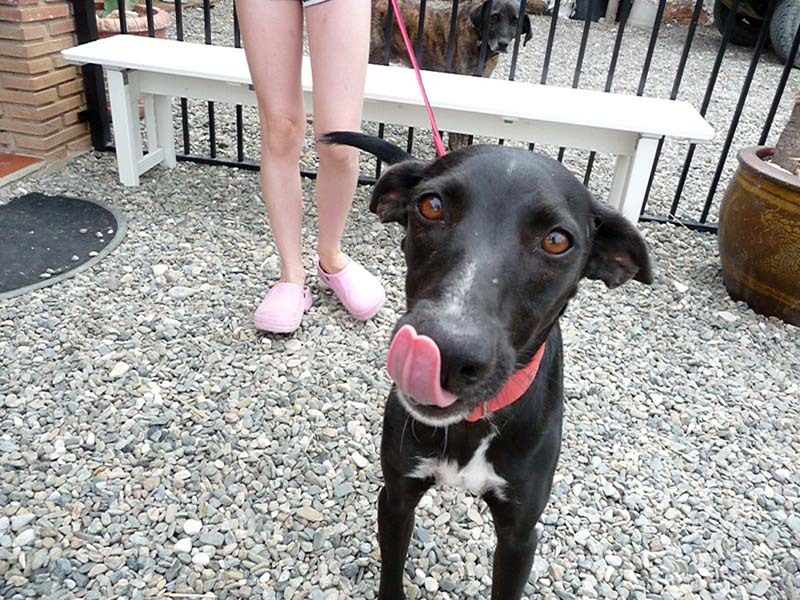 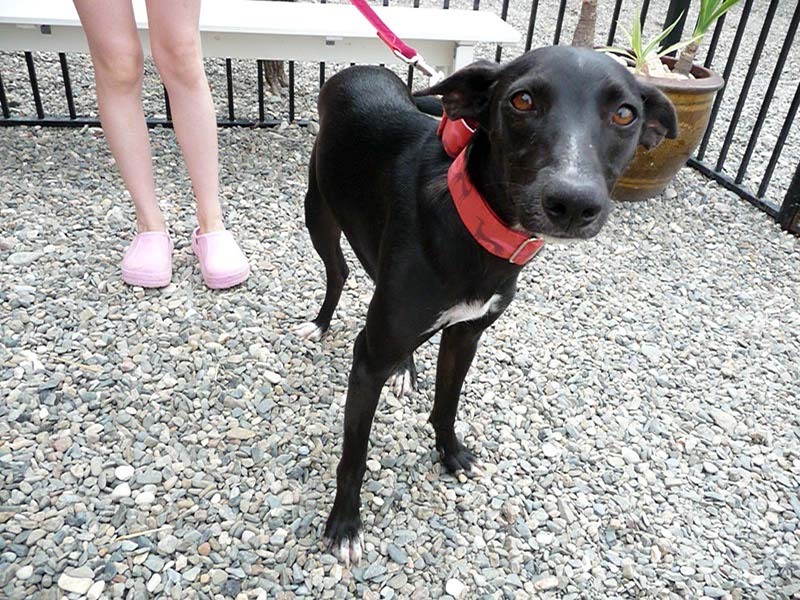 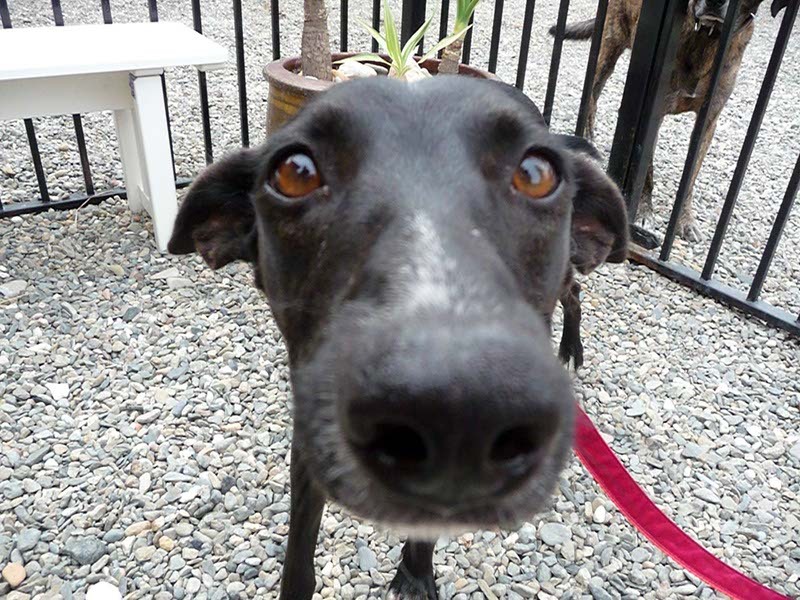 Bibi ideally will need a home with someone who understands or has previous experience of sighthounds. 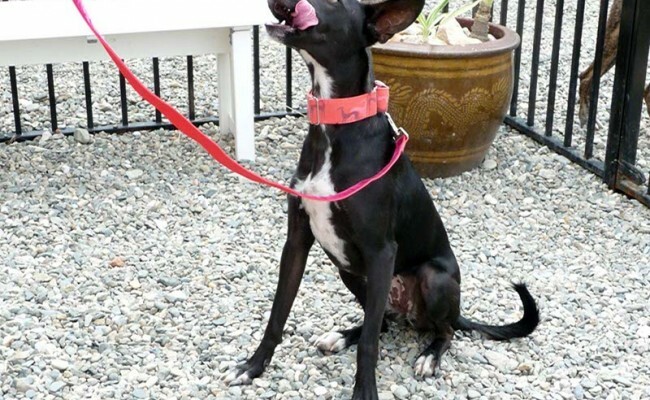 A secure garden is essential with space for her to run around. 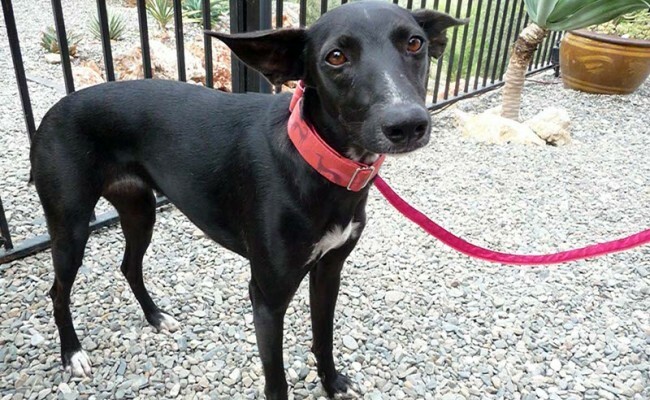 She needs another dog or dogs for company which would be happy to play with her, and preferably someone who is home most of the time to give her the attention she requires. 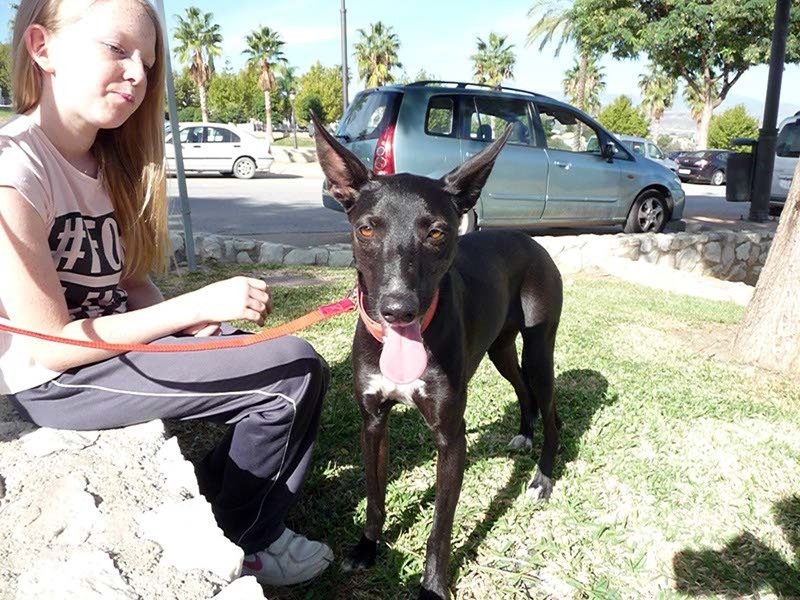 She is very worried & nervous outside of the home and so we feel that a quiet rural environment would suit her best.